Australia’s warmest summer on record – with extremes of drought, flooding, fire and heat – looks set to continue into autumn, with warmer temperatures and below average rainfall. The post Warm autumn likely to follow Australia’s hottest summer on record appeared first on RenewEconomy. Unique to Australia – the use of climate funding for upgrading COAL -FIRED plants !! Experts say allowing Vales Point coal-fired power station to register with the Morrison government’s emissions reduction fund, rebadged this week as a “climate solutions” policy, puts Australia out of step with the World Bank, Europe and the US, which have all rejected using climate financing for coal power retrofits. The World Bank has issued US$13bn in green bonds since 2008 to stimulate spending to combat global warming. China has used green bonds to help build new coal-fired plants to replace older, dirtier stations on the grounds it reduces nitrogen-based emissions causing the country’s oppressive air pollution. But it announced in Decemberit would no longer consider “clean coal” plants – which still emit significant amounts of greenhouse gas – investments in green technology. Sean Kidney, chief executive of the London-based Climate Bonds Initiative, says China’s shift leaves Australia out on its own. “If you were committed to meeting the goals of the Paris climate agreement, which the Australian government says it is committed to, this is just lunacy,” Kidney says. Emma Herd, chief executive of the Investor Group on Climate Change, says Australia is moving across the trend by considering giving taxpayer support to coal. In addition to the potential support through the climate solutions fund, the government is considering underwriting the cost of building new coal-fired power stations. In the past fortnight, mining giant Glencore has said it will cap coal production in response to pressure from shareholders, while Rio Tinto stressed it was the only large mining company with no fossil fuel investments, having sold its final coal assets to Glencore last year…….. Even if Vales Point is not successful, critics such as the Australian Conservation Foundation say there is nothing preventing other coal-fired plant owners from applying for a climate subsidy. Major companies are being paid from the fund for other fossil fuel projects: South African miner Gold Fields is getting $1m for a gas-fired plant the company says it would have built regardless; Rio Tinto has received $2m for a diesel-fired power plant at a bauxite mine. https://www.deseretnews.com/article/900058129/letter-we-cannot-let-nuclear-waste-come-to- utah.html, By Leslie and Gail Ellison, Deseret News March 1, 2019 HB220 recently passed by our Legislature opens the door to allow Class B and Class C nuclear wastes to be stored at the EnergySolutions Clive Skull Valley repository. These wastes increase in toxicity over time. No matter one’s political persuasion, Independent, Republican, Libertarian or Democrat, this bill must be halted in its tracks. ABC News 1 Mar 19 Three staff at the Lucas Heights nuclear facility have been decontaminated after being exposed to a chemical spill. The Lucas Heights facility, about 40 kilometres south of the Sydney CBD, has had several contamination scares in recent years. In August 2017 a worker suffered blisters on his hands after he dropped a vial of radioactive material and was contaminated through two pairs of gloves. The event was deemed the most serious in the world in 2017, according to the International Nuclear Event Scale — the global grading system for nuclear incidents. ANSTO apologised to the worker who was exposed to the radioactive material and produced an “action plan”, in response. An independent review of the facility was conducted in October 2018 and found that it failed modern nuclear safety standards and should be replaced. Given the rapidly falling cost of solar and wind, the renewables industry should be actively fighting for Australia to rapidly move to 100% renewables and beyond. The post It’s time for Australia’s renewables industry to go all in appeared first on RenewEconomy. Dealing with the fallout in Fukushima – Part 1 — Soils Matter, Get the Scoop! via Dealing with the fallout in Fukushima – Part 1 — Soils Matter, Get the Scoop! Making nuclear summits great again The Saturday Paper, Jonathan Pearlman 2 Mar 19, Vietnam: In Hanoi this week, Donald Trump and Kim Jong-un met for a second summit to address North Korea’s nuclear program. Trump revels in the theatrics of these summits, apparently overlooking that he is lending stature to a despot who holds power through mass enslavement, torture, imprisonment and murder. Before the formal talks began on Thursday, journalists covering the event were advised of the expected outcome: there would be an “agreement signing ceremony” at the Metropole at 3.50pm. By Thursday afternoon, the ceremony had been cancelled as the realities of trying to resolve this decades-old conflict overcame Trump’s apparent belief that a deal would flow from a “wonderful dialogue”. The success of a potential deal will depend on detail, and on Kim’s predilections, not Trump’s jubilant tweets. This became clear in Hanoi, as the talks faltered over Kim’s demands that international sanctions should be entirely lifted. Prior to Fukushima, the atomic power industry never envisioned a disaster of this magnitude anywhere in the world. 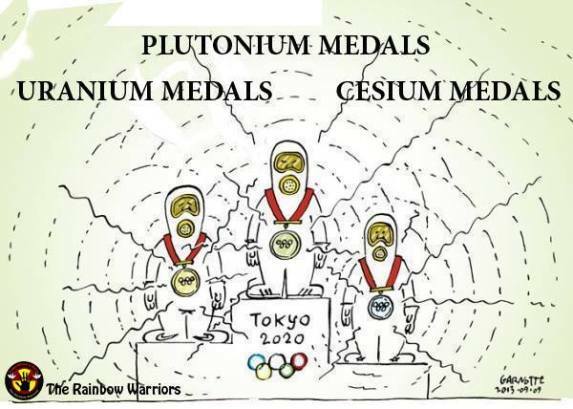 Worldwide, the proponents and operators of nuclear power plants still are not taking adequate steps to protect against disasters of the magnitude of Fukushima!………. ……Are the Japanese government and the IAEA protecting the nuclear industry and not the people of Japan by claiming that Fukushima is stable when it is not? Fairewinds’ chief engineer Arnie Gundersen outlines major inconsistencies and double-speak by the IAEA, Japanese Government, and TEPCO claiming that the Fukushima accident is over. Dynamic versus static equilibrium, escalated dose exposures to the Japanese children and nuclear workers, and the blending of radioactive materials with non-contaminated material and spreading this contaminated ash throughout Japan are only a small part of this ongoing nuclear tragedy. Much of Japan’s focus has been to show that the Fukushima area is safe and has recovered from a 2011 earthquake, tsunami, and the meltdowns at three nuclear reactors.
. To this day, Pakistan’s nuclear doctrine remains ambiguous, in what many experts consider to be a deliberate choice. ……..